Spur gears transfer rotary motion between parallel shafts. 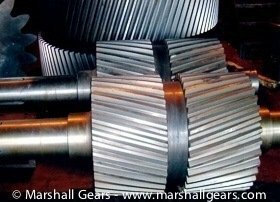 They have straight teeth which are parallel to the shaft on which the gear is mounted. Spur gears are relatively simple in design and manufacture due to their structure. There they are used for a wide array of applications. Spur gears have straight teeth and have simpler design compared to Helical gears or Double Helical Gears. Spur gears are the most commonly used gears type and have a wide range of industry applications. The straight teeth in spur gears have point contact and are used for light and moderate load bearing duty cycles. We are a Industrial Spur Gear Manufacturer in India and gear cut and manufacturer Spur gears for Cement, Steel, Sugar, Paper, Chemical, Bottling plants, Cranes Industries among many other industries. 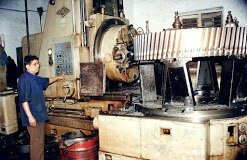 As a leading Industrial Spur Gear Manufacturer in India, We use the latest in gear cutting machinery. 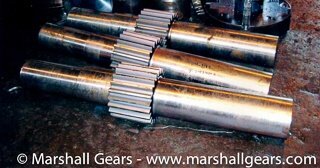 Our west German Gear hobbers are capable of cutting up to DIN / IS class 7 gears. Without any additional finishing process required. Gears up to 3600 mm diameter can be hobbed and finished to an AGMA class 8/9, for all those high speed, high accuracy gear requirements. As An Industrial Spur Gear Manufacturer in India, We manufacture the following Types of Spur Gears. 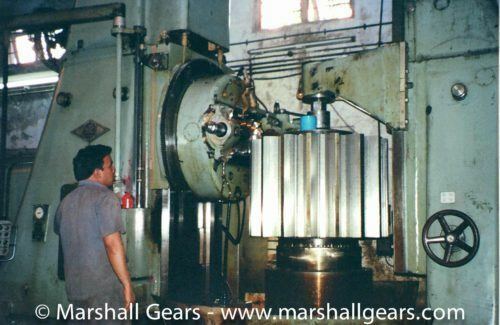 At Marshall Gears , we manufacture Industrial external spur gears in India from 100 mm in diameter up to 3600 mm in diameter with face widths up to 1250 mm length. om 100 mm in diameter up to 3600 mm in diameter with face widths up to 1250 mm length. Materials Used for Spur Gear Manufacture. Forging materials like EN 8, EN9, En 18, EN 24, etc. Heat Treatment Processes For Spur Gears. 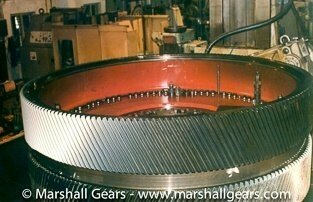 We offer various heat treatment processes for Spur Gears. The HT that is used generally depends on the spur gear material, gear application and the hardness and other physical qualities required for the gear application.